wide sphere of influence as they each bring different connections. what to do, instead their path forwards flexes according to the situation. successful teams are the ones that also have eXternal focus. These are X-Teams. External Activity: Making sense of and using the external environment. Expandable Tiers: Different types of team member have different roles. 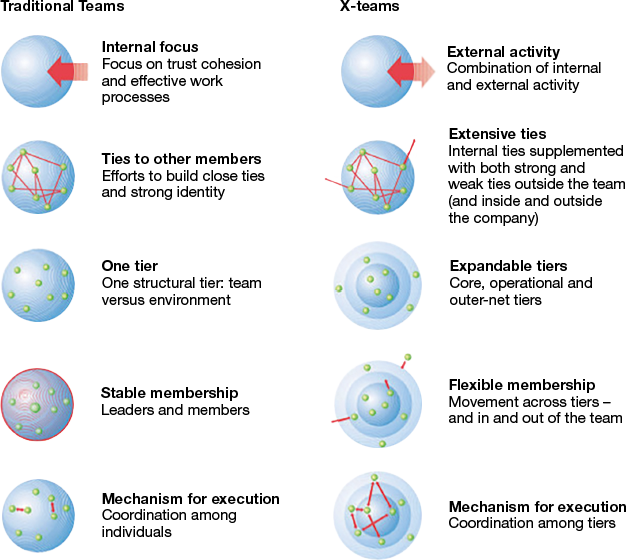 take on different types of team role. keep the external world within reach. Basic Functions: Explore, Execute, Exploit. Making ideas reality. You can watch this short video featuring Deborah Ancona explaining X Teams. Courtesy of Kantola Training Solutions.